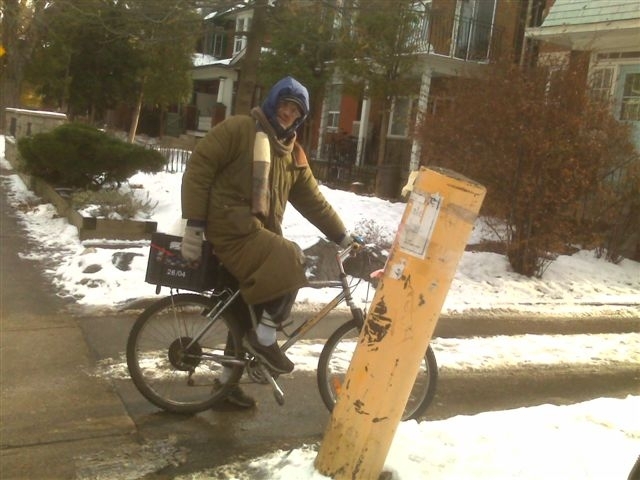 This entry was posted on	December 14, 2007 at 9:00 pm	and is filed under away, bike, homeless, homelessness. :::::::: i was thinking of Tony yesterday as I was snowed in. Tony how are you? You were snowed in, but Tony was snowed out. Snowed in or out is all about Choices to some degree. Go some where to keep warm and out of the storm!